Well it’s been a while since I did my last reading update. I’ve read some books, bought and borrowed loads of books and have list as long as my arm of books I want to buy…there really is never enough time to read them all! Here are some of the books I’ve been reading. 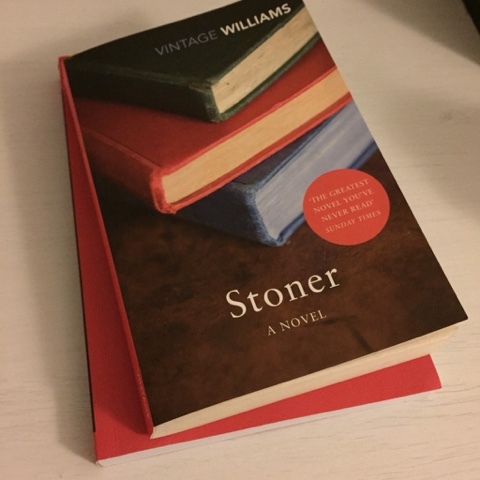 First up is Stoner by John Edward Williams…originally published in 1965 and reissued recently by Vintage. It’s a short book but so beautiful. It’s stark and incredibly sad, a story of a life not fully lived. I recommended it as my book club choice for this month, here’s hoping they loved it as much as I did. 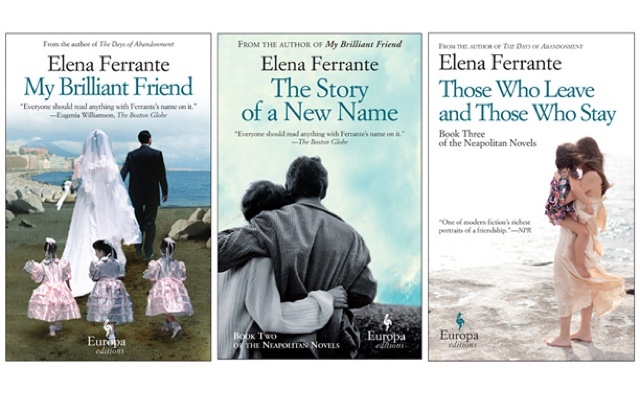 Next up is a series of four Neapolitan books, a quartet/quardrilogy/tetralogy…whichever you call them you will be hooked. The first book, in particular the first half is heavy going as there are a lot of characters to get to grips with, once you get through that first half it is a fascinating and addictive examination of the complexities of female friendship. The story centres around two main characters and their lives are forever interwoven as a result of their childhood friendship. A beautifully written, engaging series of books. The last book in the series was shortliseted for the Man Booker International prize. 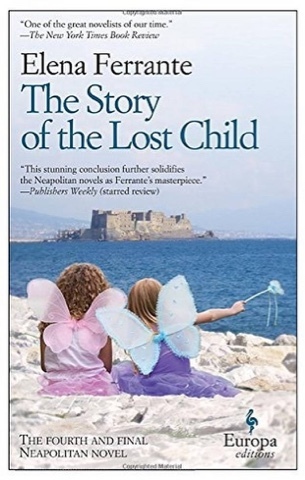 The writer Elena Ferrante is quite the mystery, she has never been identified and even her translator has only ever corresponded by email, most unusual in these times of self promotion. 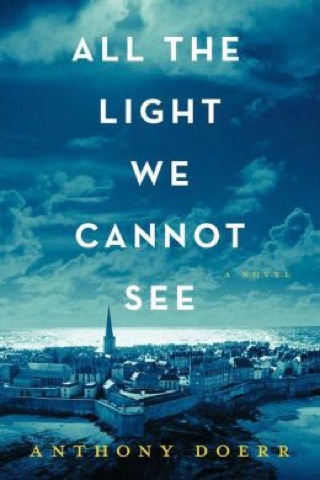 Another book that I truly loved is All The Light We Cannot See by Anthony Doer. It is a really absorbing read, a page turner in the true sense. It is set in the time of Nazi occupation and is the story of a French child, Marie-Laure who is blind and a German orphan boy with a talent for science. We follow their story as they try to survive the horrors of World War 2 and watch as their paths collide. The prose is stunning throughout and the visual discriptions are excellent. A really great read. This was a completely new genre for me, one I was glad I read but I’m not entirely sure I would read again. This book fell a bit like running a race, I started full of hope, regretted it a third of the way in, hated it half way through and in the end was glad I had read it. It is a story of infinite parallel realities and the people who can ‘flit’ between them. 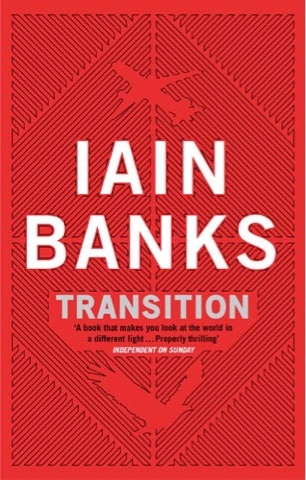 The aim of the Transitionaries is to intervene in events to alter the outcomes for the greater good. It is a very engaging read, but just not my cup of tea. 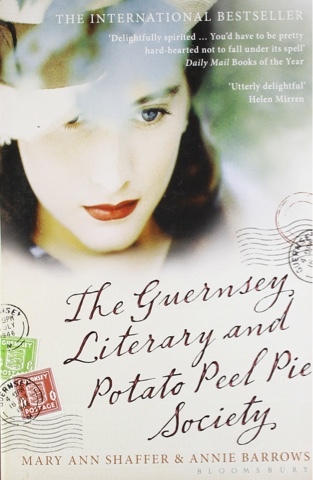 Next on my list is The Gurnsey Literary and Potato Peel Pie Society…I’m as intrigued by the name as the book itself! Our 9 year old avid reader has been reading loads recently, here are a few that she has enjoyed. The Boy in the Dress by David Walliams… The man is a genius, he just reels in the readers and that is the true test of writer, especially for younger readers who are still learning to love books. 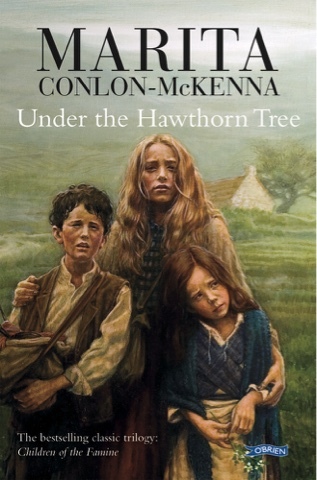 Under The Hawthorn Tree by Marita Conlon-McKenna was her book club book, she struggled a bit at first with the sadness of the famine era, especially dealing with the death of a baby but she really enjoyed it, so much so they have picked another Martina Conlon McKenna book, Wildflower Girl, as their next read. 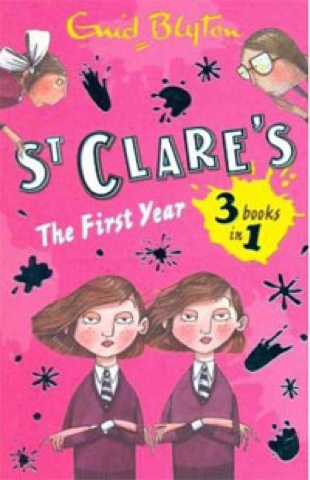 She is also reading the classic Enid Blyton collection of St Clare books. These are a trip down a very happy memory lane for me and she is loving them as much as I did, she has also began begging me to go to boarding school, as I did to my mother! 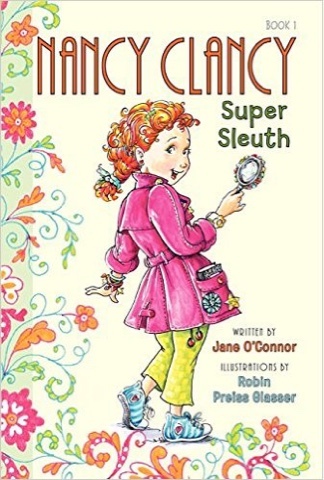 She has found a new book-love in these fun and girly books ,The Nancy Clancy Series. She loves the detective story in Super Sleuth. The words are big enough that she isn’t overwhelmed by them and yet it doesn’t feel too childish to her. This is something we have struggled to find, the in-between book that bridged the gap between a short simple children’s storybook and a full book that she can manage herself. These, she has declared, are perfect. Is currently on Level 4 of her Ladybird Read it Yourself books, this weeks one is The Pied Piper of Hamyln. I’m not sure where we will go after she has finished this series as there seems to be very little available for this age group. For the older two, we are still working our way through The Laura Ingles Series, we are on The Little House on The Prairie now and still loving them. 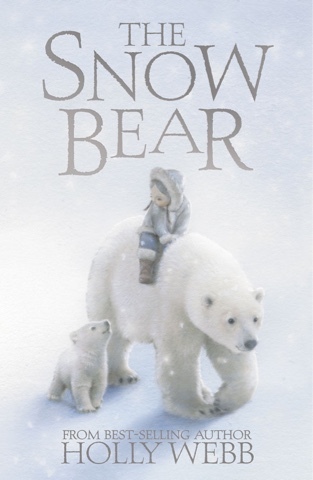 For the younger two I’m reading The Snow Bear by Holly Webb, a lovely book that’s bringing up great questions about igloos and Inuit people, ‘we’ll have to google that’ seems to be my most common answer at the moment! As ever, I would love to hear what you, or your children are reading, I always love a good book recommendation.